First off, thanks everyone who linked up on yesterday's post. Y'all made my day. I loved reading your stories. There's still time if you still want to join in. So I used to do Empties posts, and when I was asked twice within the past week why didn't I do them anymore, I knew had to bring it back. Maybe make it a regular thing again? Let me know. great for preventing and reducing the signs of aging, including sun damage, fine lines, uneven skin tone, and wrinkles. I have already ordered more of this. I will be getting another one of these! I love it on my chest as well and started using it around my eyes. As a Power Primper, I am offering 20% off + free shipping with promo code: PRIMPFALL20 to my readers. Expires: December 31st, midnight EST, One-time use only; cannot be combined with other offers or applied to previous purchase. Have you ever tried Paula's Choice? Last night I had some friends over to watch Pitch Perfect 2. There was even a little karaoke action too! Happy first day of FALL! My fave. I will probably mention this a million more times. FALL! Since it's the first the day of fall, I've got 5 Pumpkin beauty DIY recipes--including Pumpkin Spice Latte Sugar Scrubs and MORE. This was brought to you by Paula's Choice via Pretty in my Pocket. I have not tried Paula's choice but it sounds like great products! 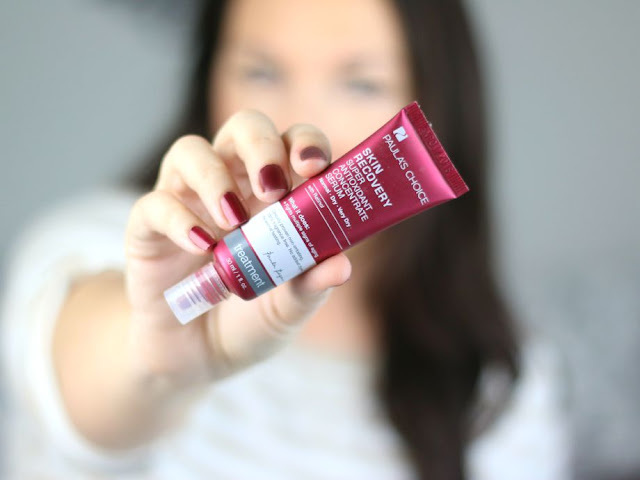 I have dry skin in the fall and winter and that serum sounds like something I could use! Empty skincare bottles are very impressive! I will need to check out Paula's Choice! It's not even that pricey which is awesome! I seriously love Paula's Choice products! I think I definitely need to look into that serum more! I have been seeing Paula's Choice products everywhere recently. I received a sample from my last Nordstrom purchase, but I haven't used it yet. Can't wait to check these out. i've neve tried paula's choice products but i've heard amazing things about them! I will definitely have to try out these products! 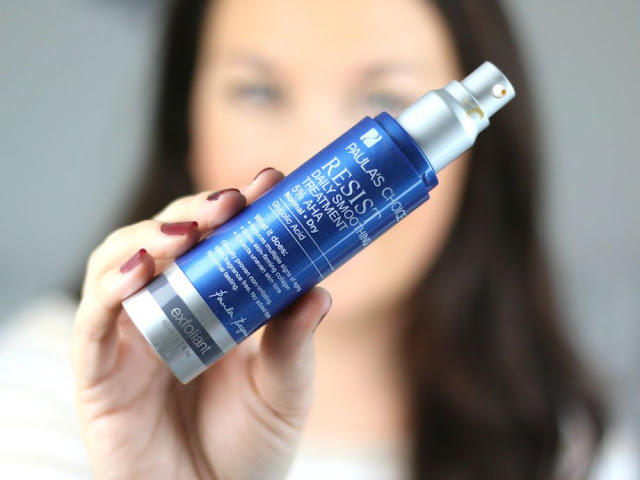 The Skin Recovery Super Antioxidant Concentrate Serum sounds so amazing! Happy Fall -- I'm super excited too!! 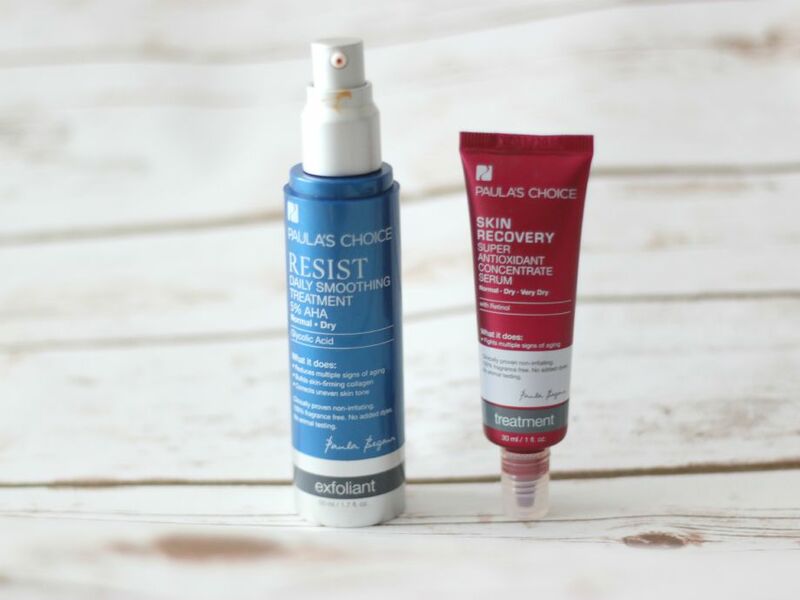 I have never tried Paulas Choice before, but I love me some AHAs and retinol, so i might check them out soon. Ooo I am intrigued by the Paula's Choice serum! Glad you liked it so muhc!! Great review! Also, can't wait for the pumpkin recipes. Oh I totally need to check out Paula's Choice serum. Thanks for your honest review. I have to agree that if you use up a skin care product, then you know you love it! I find that very rare! I've never tried Paula's choice before. And happy first day of Fall! The daily smoothing treatment is definitely calling my name. I just love that it's for all skin types. I may have to give that a shot. Thanks Elle. I haven't tried anything by Paula's Choice but I have read quite a few positive reviews on their products. I've never heard of this brand! It sounds great! Definitely need to check it out!! I haven't used that brand before. I am looking forward to seeing Pitch Perfect 2, hopefully this weekend. I've heard such great things about Paula's Choice products. I'll definitely keep them in mind next time I need a new skincare product. I still need to see Pitch Perfect 2! I've never tried Paula's Choice but have heard so much about them!!!!!! Thanks for sharing the goodies! Yes, more empties posts! I've stopped doing empties as well, but thinking of bringing them back. Paula's Choice is a brand I've been super interested in trying. I like the sound of the Daily Smoothing Treatment. Daily smoothing treatment sounds like such a winner! I still havent seen pitch perfect 2 yet, I can't wait to redbox it sometime soon! Totally not related to skin, but I have tried Herbel Essences detoxifying shampoo and I really like it so far. I love the nature of this post. We all get tons of products but which ones do we squeeze the last drop out of. Good call! I always love seeing what people are using up. I plan on doing a post like this soon. I love empties videos/posts. I've never tried Paula's Choice, but I've been more about them recently--all good things! I've read really good things about Paula's Choice and definitely need to try the products as soon as my arsenal of skin care is done. I have not tried Paula's Choice. I generally use up foundations and blush. I have used a few things from Paula's Choice and liked them ok. I really like how you can look up other brands on her website to see what she thinks of them too. I like empties posts because you know someone knows what they are talking about if they used it all! I have not tried Paula's Choice but I have been doing some research lately on new skincare and makeup products that I should be using and I will definitely look more into this brand. i have never tried paula's choice but i have heard of them. but you are right! i can't remember the last time i actually used something skin care related until it was completely empty! haha. I love reading empties posts! I can't wait to see Pitch Perfect 2!! I've never heard of them before, but it sounds amazing! I love fragrance free products, my skin in super sensitive. Thanks for sharing. These sound like such great products! It's definitely hard to find skin care products that work well. I've never tried Paula's Choice but I have heard great things about it. I got a bottle of Paula's Choice in my last Ipsy bag and it was a face serum with retinal. I LOVED it and I need to check out more of their products, especially after reading your review on two more of their products! I'm a big fan of PC skincare! That super antioxidant serum is a big favorite of mine. That is actually a really good point. I never really see skincare products in peoples "empties" list. I've never really tried this brand before, I prefer REN. I'm really content with their products and how well they are on my skin. Yes please to more empties posts! They are honestly my favorite to read. I have mixed feelings about Paula's choice. Not about her products, because I've never tried any, but her site and the way she relays information. haha. I have her wonderful things about her products though. I have heard or better, read, of Paula''s Choice and never used the products, and I want so much, since I love serums and with retinol, good for dry skin... now I really want that! Ive been using pc products for well over a yr now..have liked or loved almost every product..the 2%skin perfecting bha&4%wkly are my never live withouts.